I enjoy the beauty of the Tennessee mountains set aglow with their stunning hues of orange, red, and gold, exclaiming fall's last hurrah before winter. However, in our immediate area, the unseasonably warm weather and rain have confounded nature's cycle, creating faded and dried leaves, still clinging to their branches. While considering the four seasons, I realized there is a correlation between seasonal changes and the spiritual seasons that we experience. "For everything there is a season" (Ecclesiastes 3:1). There is a time to be born and a time to die. Between those two events are cyclical spiritual seasons. SPRING is a time of renewal and rebirth as we watch the earth surrender new growth at winter's end. It is also the time when farmers go into their fields to plow and plant. Plowing is important, because it prepares the soil to receive new life, and it breaks up roots, which prevent weeds from growing and choking out the new crop. Equally, Christians must prepare the soil of their hearts by uprooting all destructive roots of bitterness, unforgiveness, resentment, and anger, so that a good crop of blessings can come forth. Spring rains will come at inconvenient times, requiring farmers to work long hours throughout the night as they seed their ground. This is powerful imagery for those seasons of life when unexpected challenges prevent us from moving forward with our plans. But like the farmer, we cannot allow those interruptions to dissuade and sidetrack us. Instead, God calls us to persevere in prayer and seek His plans and purposes, for He is our shelter and strength and is always ready to help in times of trouble (Psalm 46:1). Spring's rebirth and renewal are also a part of God's kingdom. We see this call for "rebirth" in Scripture, when the Pharisee, Nicodemus, a ruler of the Jews, asked Jesus, "How can a man be born when he is old? Can he enter a second time into his mother's womb and be born?" Jesus answered, "Truly, truly, I say to you, unless one is born again, he cannot see the kingdom of God. That which is born of the flesh is flesh, and that which is born of the Spirit is spirit" (John 3:4-8 KJV). We entered the world as human flesh with an Adamic, unredeemed nature. Therefore, to be born spiritually, we must confess with our mouth the Lord Jesus and believe in our heart that God raised Him from the dead and we will be save (Romans 10:9 NKJV). However, that is only the beginning. John the Baptist said, "I have baptized you with water, but [Jesus] will baptize you with the Holy Spirit (Matthew 3:11; Mark 1:8; Luke 3:16; John 1:33). For it is the Holy Spirit that gives wisdom, direction, discernment, comfort, peace, knowledge, and all things pertaining to God. Jesus received the Holy Spirit before He began His ministry and He tells Christ followers to follow His example by asking the Holy Spirit to indwell them. SUMMER is referred to as the growing season when farmers plant their summer crops. Spiritually, the summers of our lives are those times of spiritual growth, as God reveals Himself to us through His Word and prayer. As we pray, He calls us to stop, refresh, and quiet our spirits in the refreshing of His Holy Spirit. "The Lord is [our] Shepherd. [We] lack nothing. He makes [us] lie down in green pastures. He leads [us] beside quiet waters. He refreshes [our] soul" (Psalm 23:1-3). He promises, "I will refresh the weary and satisfy the faint" (Jeremiah 31:25 NIV). The antonym for refresh is to be weary. God wants to take us from weariness to His place of refreshing, where He strengthens, energizes, revives, restores, and awakens us to His plans and purposes. However, that spiritual strengthening and refreshing can only begin with prayerful communication with God. 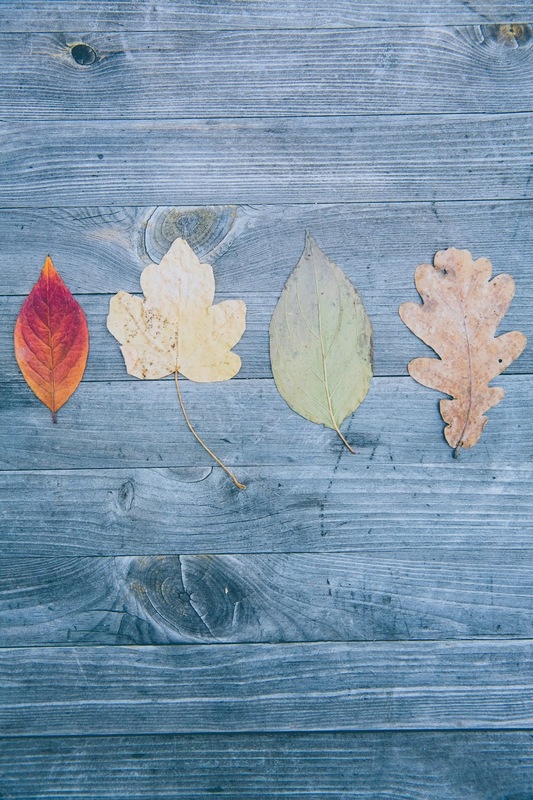 FALL represents change, preparation, and harvest. The changing leaves tell us winter is near. Interestingly, leaves die and fall so that new buds may form on their branches, bringing forth life in the spring. Leaves have a lesson for us. We often cling to what is comfortable and safe, because we are afraid of change or of losing something that is important to us. As with dead leaves that eventually release from their branches, if we refuse to release those dead and weighty things that hold us back, we will never experience new growth and blessings. A harvest does not happen overnight. Like the farmer who, with great effort, prepares his land for planting, we must extend great effort in preparing the good soil of our hearts with patience, faith, endurance, and commitment to prayer and reading God's Word. In that resolve, there must be a removal of "weeds"—old fears, worries, false beliefs, unhealthy attitudes, and choices that prevent God's bountiful harvest from being produced in our lives. WINTER is a time of death and dormancy when the earth rests. There are times in our walk with God that we come to a place of inactivity, which can lead to a disconnect from Him, if we are not careful. The farmer is the perfect example of one who understands harvest and dormancy, because once the farmer has harvested his crops, the ground rests and remains cold and dormant until spring. Though the ground is resting, the farmer remains busy maintaining his equipment and making necessary repairs to insure everything is operational for springtime planting. His very livelihood and health of the farm depend on the proper care and maintenance of the farm equipment. Likewise, our spiritual health and potential harvest are dependent upon our continual communication with God, studying His Word, and fellowshipping with fellow believers in a church environment. Without fastidious preparation and continual maintenance of the spirit and soul, we can lose the harvest as we drift away from God. And without preparation, we will not be ready for storms that will surely come. There was a time when I felt disconnected from God, so I asked, "Father, why have I not heard from You?" He gently spoke into my spirit, "Because you do not spend time with Me." Regrettably, I had allowed the cares and business of everyday life to rob quality time with Him. Thankfully, if we seek Him with all our heart, we will find Him (Jeremiah 29:13). For when we seek His kingdom first and His righteousness, all our needs will be met (Matthew 6:33). 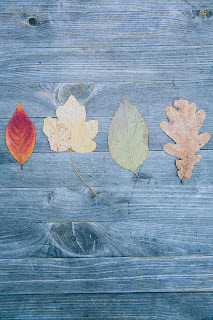 Just as the earth goes through seasonal changes each year, we are continually transitioning between spiritual seasons, "until we reach unity in the faith and in the knowledge of the Son of God and become mature, attaining to the whole measure of the fullness of Christ" (Ephesians 4:13-15 NIV). PRAYER: LORD, help me to appreciate each season as a time for spiritual growth and spending time with You. I ask that You fill me with the Holy Spirit, Who provides wisdom and gives direction, discernment, comfort, peace, knowledge, and all things pertaining to You. In Jesus name, amen. In studying John 12:3-6, I thought it was odd that Jesus would recruit Judas Iscariot to be His treasurer, when He knew that he was a thief. We get a glimpse of Judas' heart when he chastises Mary for using a pound of very costly, pure nard to anoint Jesus' feet. "Why was this ointment not sold for three hundred denarii and given to the poor?" Judas said this, not because he cared about the poor, but because he was in charge of the donations and would help himself to the money. Jesus had taught the multitudes and the disciples, “Do not store up for yourselves treasures on earth, where moths and vermin destroy, and where thieves break in and steal. But store up for yourselves treasures in heaven, where moths and vermin do not destroy, and where thieves do not break in and steal. For where your treasure is, there your heart will be also." "No one can serve two masters for either he will hate the one and love the other, or he will be devoted to the one and despise the other. You cannot serve God and money" (Matthew 6:19-24 NIV). Jesus was speaking to the root of Judas' carnality and double-mindedness, which was his lust for wealth and possessions. Although he was given opportunities to repent and turn from his sin of greed, he chose the love of money instead of loving and serving Jesus. We might wonder how Judas, a disciple of Jesus, could have betrayed Him for thirty pieces of silver after being with Him and listening to His teachings? Sadly, there are "Christians" who are no different than Judas. Outwardly, they profess Jesus, attend church, and say all the right things. Inwardly, their hearts are far from Him. They are adulterers, fornicators, thieves in business, liars, greedy, rebellious, unbelieving, prideful, and refuse to turn from their sins. They believe that as long as they call themselves a Christian all is well with their soul. Unfortunately, they are deceived and live their life apart from God's truth. The Bible warns us that, "The heart is deceitful above all things, and desperately wicked; who can know it?" (Jeremiah 1:0 NKJV) For that reason, we are cautioned to guard our heart, for everything we do flows from it (Proverbs 4:12). If we are not careful, both heart and mind will betray us. King David, whom God had called, "a man after My Own heart," let his guard down and committed adultery with Bathsheba and orchestrated the murder of her husband, Uriah. Despite David's intense love for God, in a moment of idleness and weakness, he succumbed to fleshly desires. God sent the Prophet Nathan to expose David's sin and give him a message. Then David repented, “I have sinned against the Lord.” Nathan replied, “The Lord has taken away your sin. You are not going to die. But because by doing this you have shown utter contempt for the Lord, the son born to you will die” (2 Samuel 12:13-14). Sin always has its consequences. Christian apologist and defender of the faith, Pastor Ravi Zaccharias says this about sin: "Sin will take you farther than you want to go, keep you longer than you want to stay, and cost you more than you want to pay." The beautiful Psalms of David came after he had repented of his sin, "You have searched me, Lord, and You know me. You know when I sit and when I rise. You perceive my thoughts from afar. You discern my going out and my lying down. You are familiar with all my ways. Before a word is on my tongue You, Lord, know it completely" (Psalm 139: 1-4 NIV). David recognized his weaknesses as a man and called upon the Lord to help him discern when sin was crouching at the door of his heart. "Search me, God, and know my heart; test me and know my anxious thoughts. See if there is any offensive way in me, and lead me in the way everlasting" (vs. 23-24). Just as it was in the Garden of Eden when Satan packaged sin as a seductive piece of fruit, his methods have never changed. He seduced David with the alluring and beautiful Bathsheba. 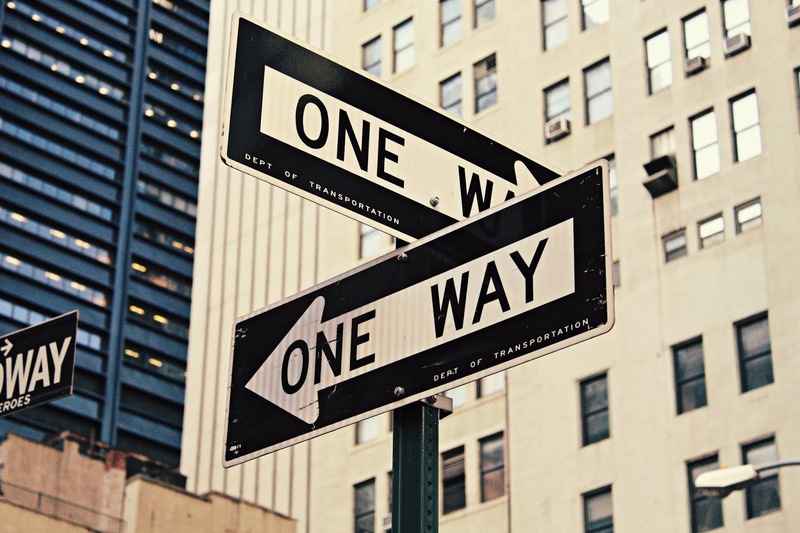 The enemy of our soul dresses up sin in ways that entice the double-minded (those who vacillate between two opinions) to mix sin with the things of God. Christians who profess Jesus Christ as Lord but knowingly sin are double-minded. They are unstable in all that they do, because they are tossed and blown by the world's false narratives. They do not have God's Word firmly planted within their heart, so they are unable to discern truth from the enemy's lies. Those deceptions affirm their choices and lifestyle, so that they love the world and all it offers, while believing all is well with their soul. The desires of the flesh are in opposition to the spiritually minded; therefore, a double minded person is easily drawn into immorality, impurity, sensuality, idolatry, sorcery, enmities, strife, jealousy, outbursts of anger, disputes, dissensions, factions, envying, drunkenness, carousing, and other sins of which we are warned that those who practice such things will not inherit the kingdom of God (Galatians 5:19-21). Why do some struggle between two opposing worlds? There is an exhausting and deadly tug-of-war between good and evil. Those who embrace both worlds are playing a dangerous game with the dark side of sin. That risk is too great to gamble with one's soul. 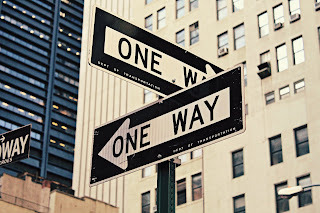 Either we choose to follow God and His precepts and love Him with all our heart, soul, and strength, or we follow and conform to the things of this world. As Christians, we cannot have both. The good news is that those who confess their sins, God is faithful and righteous to forgive them and cleans them from all unrighteousness (I John 1:9). For all have sinned and fall short of the glory of God, and all are justified freely by His grace through the redemption that came by Christ Jesus (Romans 3:23-24 NIV). God created us to fulfill His purposes and carry the light of Christ to the world, but it can only happen through willing, committed, surrendered, and obedient hearts. The question remains, "Are we double-minded or are we single-minded with hearts and minds focused on Christ?" PRAYER: LORD, like David, I ask that you search my heart, and reveal any thoughts, actions, or lifestyles that are wicked or displeasing in Your eyes. Help me to recognize the enemy's cleaver packaging of sin that would draw me away from You, for I desire to walk in holiness before You. In Jesus name, amen.